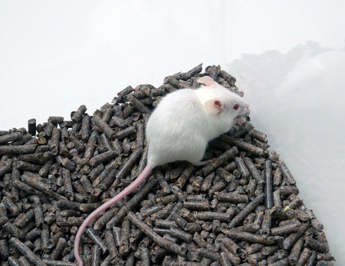 Lab Supply has can provide a number of custom diets for laboratory animals from TestDiet including this liquid feed for rodents. This product is a powder that can be mixed with water to produce a liquid rodent formula. It can be used as a full replacement for a solid rodent diet. Rodents love this feed, it is extremely palatable and nutritionally balanced. If you would like directions for using this feed as well as a full nutritional profile on this product then please click here to view the product PDF. If you are interested in ordering LD 101 Rodent Liquid Diet then please call our store or click here to visit our contact us page to discuss the ordering process. Our store number is: 800-262-5258. If you would like more information on TestDiet and their products then please click here to visit their website.